Marilyn S. Kanniard, age 64 of Cardington died Sunday, January 20, 2019 at home. She was born in Dayton, Ohio on November 11, 1954 to the late Clarence B. and Lillian (Coffman) Hyre. Marilyn worked as a STNA, cleaned houses, and worked for Columbus Auto Auction in Grove City. She enjoyed spending time with her cat “Baby”, dining out, spending time with grandkids and taking the grandkids to the swimming pool. 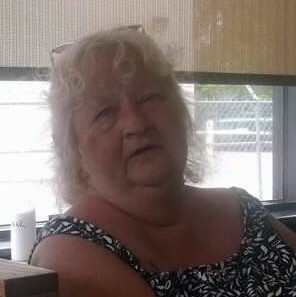 Marilyn is survived by 2 daughters, Michaelle (Jon) Krestel of Maineville and Meredith Woods of Fredericktown; 8 grandchildren: Ashleigh Woods-Richards (Jackson), Dakota Woods, Ryleigh Krestel, Lucas Krestel, Anthony Woods, Vashaun Woods, Brooke-Lynn Woods, and Liam Woods. In addition to her parents, Marilyn was preceded in death by one grandson, Joseph Woods; a brother, Clarence Hyre and a sister, Jean Ann Gearheart. Those wishing to share a memory of Marilyn or to express a condolence to the Kanniard family may do so by visiting www.gompffh.com.